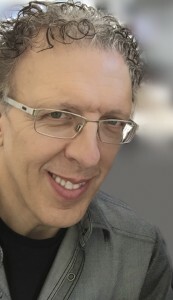 For nearly thirty years, François Thisdale’s has worked as an award-winning illustrator creating images for children’s books, news magazines, annual corporate reports, and book covers for several clients in Canada, United States, Korea, China, Colombia, Spain and France. 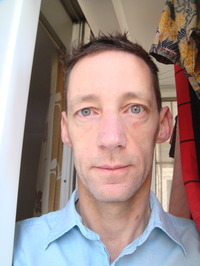 His trademark multi-textured images are the product of a unique blend of traditional drawing, photography and richly textured painting techniques interwoven with digital imagery that creates particular atmospheres. He is the illustrator of Missing Nimama which recently won the TD Award and The Stamp Collector , which is on the International Board on Books for Young People’s Honor List. 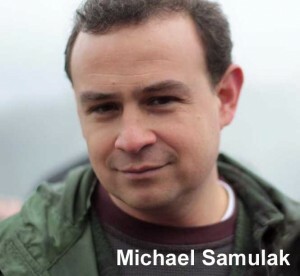 He has also won a Notable Books for a Global Society Award and the Crystal Kite Award; been a TD Children’s Book Award Finalist; an OLA Best Bet; an Amelia Frances Howard-Gibbon Illustrator’s Award finalist; and a Willow Awards finalist. François lives near Montreal, Quebec. My latest release is a picture book for age 4-7 entitled French Toast, a text from Kari-Lynn Winters published by Pajama Press. This is a great story about difference, about color of skin, about identity. Phoebe—half Jamaican, half French-Canadian—hates her school nickname of “French Toast.” Her grandmother uses descriptions of favorite foods from both of Phoebe’s cultures to celebrate the varied skin tones of her family. 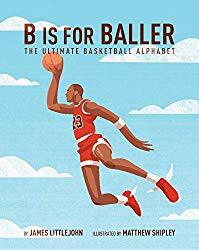 This is a great book for all ages and all colors. For that book, the challenge was inspiring. I’ve worked around different atmospheres to match color of food described in the story. I wanted to create poetic moods and incorporate food elements, like banana bread, tea, maple syrup or peach yogurt to build special images. I think I’ve succeeded to create a surreal world that helps to dive into this dialog between Phoebe and her grandmom. Each spread becomes a special place to observe these characters. I’m very proud of the result. I particularly like the tenderness of this little girl and the natural tones of the illustrations. As far as I remember, I’ve always been attracted by drawing and art in general. At the age of 4 or 5, my favorite series of books was Tintin and Snowy, by Hergé. I’ve been moved deeply by one of these books, Tintin and the Blue Lotus. All Tintin and Snowy books were very special to me but this specific book haunted me by the beauty of images, the strange architecture, its colourful exoticism. It was great to be able to follow the story without knowing how to read. I had the impression of traveling far, far away.This is the moment where I have started to draw for the rest of my life.Later on, I saw a photography of Hergé’s studio in a magazine for kids. I’ve been very impressed by that shot. I wanted to do that, to draw all day long! When I left for China in 2003 to adopt our daughter, I admit that I’ve thought about my childhood, about that precious book and remembered how it inspired me as a kid. I didn’t know that China would give me the chance to become a father. I did lots of sketches in China and The Blue Lotus was still resonating inside of me. I’m working from home, an antique farmhouse, my studio is a luminous space with two large windows. Every single day starts almost the same, a good teapot of Oolong tea. I need lots of music and life is good! When I work on a picture book or on a book cover, I’m very passionate. A picture book project starts with the reading of the manuscript. That’s the moment where everything is possible. Each text brings different challenges to face. I need to understand characters, to learn from their stories and to find a link with my own life. I’m very grateful about authors, this is a real gift to share the world of other creators during months. The work begins with pencil and watercolour sketches, far from a final illustration but enough to give a direction to the book. I love to work on a sketchbook. I feel the same as when I’m traveling. From there, with comments from my editor, I start to work on images. First off, I build the skeleton of my illustrations with photographic references, part of painting textures, different details taken here and there, and I create a collage of photographies and paintings details, in Photoshop. I print that proof on my wide format printer and I paint over with acrylic and different mediums. Then, I scan this image to work it again in the computer. I add textures, collage, elements painted aside like skies, painted textures and adjust contrasts, levels, saturation. This is a long process, a kind of alchemy. And I love it! I usually take an hour or so during the day to keep the shape and get my head cleaned. From April to November, I’m cycling around 35 kilometers a day. I love the sensation of the wind and the contemplation of landscapes. I alway carry my cell phone to take pictures that could improve the quality of my illustrations. My work, as a freelance illustrator, asks me to be well organized and disciplined. I see illustration as a language where I need to “say” things differently, regarding the text. When I’m doing a picture book, I want to create a dance between words and images and to enhanced some parts of the story by creating specific moods. This is a link, a bridge between the text and the reader. An illustrator must dive into the story and search to understand characters, to feel the story from his guts. Obviously, this is a great way to express myself and I think that I became an illustrator for that reason: the easiness to communicate that way, to “tell” things differently without having to say a single word, to understand and share someone’s world. Does music play a part in your writing/illustrating? If so, what sort of music do you connect with your work? Yes! I’m listening to music all day long. This is a great part of my inspiration. Music is something essential for me, something natural. As long as I remember, music has always been present in my life. My father was a pianist, I’ve played guitar a lot and composed music for shortfilms in a period of my life, music is an extension of my sensitivity. I like a wide variety of styles, depending of the moment. Today’ I’ve listened to Andy Stott, a londonian DJ, Yussef Kamaal, Ray Lamontagne and Radiohead and ended my working day with John Dowland solo lute music. Music is a great chance to discover different cultures and to admire creativity. Hard to choose… Let me give you three names. First, Eugene Delacroix simply for talking with him about his Moroccan sketchbooks. These sketches are still moving me. I visited Delacroix’ studio in Paris on place Furtenberg and had the chance to see some of these drawings. I would have liked to meet Carl Beam, who died in 2005, an Ojibway painter who worked on large format paintings that incorporates photo-imagery. I love his work and his attachment to his roots. I would have liked, for sure, to discuss about his technique of blending photo and painting as well as knowing more about the true meaning of some pieces of art I love. And finally Binette Schroeder, this wonderful German illustrator, to hear from this woman about her great career and to learn about this passionate person. 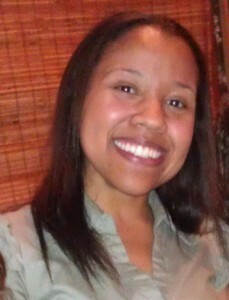 Kelly Santana-Banks is a writer of nonfiction and children’s books, and a former early childhood teacher and caregiver. When she was young, she loved to play teacher with her sister, cousins, and neighbors. As a young adult, she never considered teaching as a career, but little did she know that her childhood make-believe would pave the way to what would become her passion. 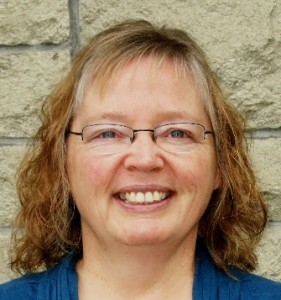 With more than ten years of experience working with children—five of those years were dedicated to research in the area of child development as well as implementing best practices inside and outside of the classroom and a strong background in child development, she is an advocate for education, especially in early childhood. She writes fun stories to entertain and teach children as well as help parents find simple solutions for their little ones’ lives. You can also connect with her on Facebook, Twitter @ksantanabanks, Instagram and Pinterest. 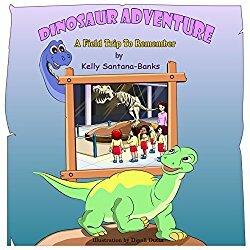 My latest release is called Dinosaur Adventure: A Field Trip to Remember, the second book in the series Let’s Learn while Playing. Different from my first book, which was a short nursery rhyme geared towards two, threes, and fours, Dinosaur Adventure targets more the older group of children (3–7)—given its amount of text and the vocabulary explored. 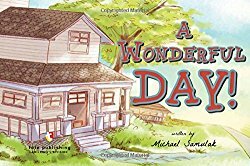 This book is a product of my working experiences with children inside and outside of the classroom, including fun field trips. And I’m happy to bring to life a subject that children love (dinosaurs) in an entertaining and educational way. Growing up, I loved the stories of Mauricio de Souza, a famous Brazilian cartoonist and creator of the children’s comic series, Turma da Monica. But at that point, writing or even thinking of becoming an author was never on my radar. Throughout my teenage years, I became an avid reader, devouring my mom’s library of books, including Sidney Sheldon’s novel, of whom I became a big fan. And later on, I also added Danielle Steele and Jenifer Weiner to my list. Every one of those authors left an impression on me. Either it is in the way I create the characters in my mind and get them to paper or how I develop the plot. This is only my second children’s book, so I cannot measure precisely their impact on my writing, but I can tell for sure that their work let me see my characters with more of a critical eye. I have worked with children for more than ten years now. Here in the US, I started as a caregiver, but not too long, I realized my love and enjoyment working with the little ones. I went back to graduate school for early childhood education (I previously received a graduate degree in hospitality) and started working as a teacher. My desire for writing started to naturally blossom. The more engaged with children, their experiences, and teaching I became, the idea of writing children’s books emerged. But at that point, it seemed far fetched to me. Life went on with many surprises and changes of scenario, including professional ones. Three years ago, I saw an opportunity to help authors with their craft, at the same time learning about it myself, and I started writing reviews for Reader’s Favorite. From reviews, I moved to resume writing, content writing, and now, books. I need to add, though, that I’m thankful for the support from my parents, dear sister, and husband, as well as some close friends, who have been strong supporters of my work. How do you stay connected with your readers? Have you gone on book tours? Do you engage on social media or through a website? Do you visit classrooms, libraries, or bookstores? 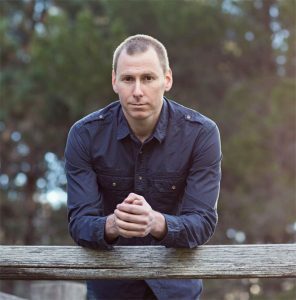 I connect with my readers through social media, especially Twitter and Instagram, and my website. I have been planning some book tours, but I haven’t started that yet. As you know, it requires a lot of preparation with book release dates, websites logistics, and the readers’ needs as well. But I’m excited to start with this one. The same goes with libraries, schools, and bookstores. I haven’t explored those venues yet, but I would sure consider a children’s read aloud session. What are the joys of being an author/illustrator? What do you derive your greatest pleasure from? There is no better satisfaction than to really bring your character to life. The creating process is one of my favorites. Besides having the pleasure of getting the character onto the paper, I love the back and forth with the illustrator, the discussion of ideas and experimenting with colors, materials, and senses to make the character relatable and loved by children. What are the biggest challenges of being an author/illustrator? To me, as an indie author—and I imagine that some fellow indies might relate—the real challenge comes with the marketing. In order for us to reach a broader readership, we need to put a lot of effort into marketing. I constantly see myself on a tightrope trying to balance out writing with the marketing aspect. And for the most part, this is not easy. This is a no-brainer: Sidney Sheldon. As I mentioned previously, I grew up reading his novels and became a super fan. I would love to learn about the thought process for his plots, his writing habits, and where he gets inspiration for his characters. 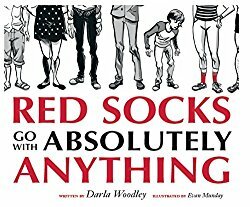 Red Socks Go With Absolutely Anything is Darla Woodley’s first book. Darla is a self-proclaimed shutterbug, with her camera never far from arm’s reach and a goal of capturing the many activities of her two boys, she is always on the lookout for how to capture magical moments. Many of these special moments are recorded in this book. My book is entitled Red Socks Go With Absolutely Anything. 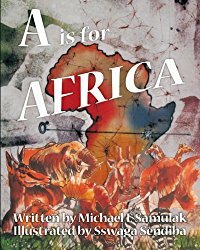 It is a Children’s Picture Book but I actually think it is a good read for all ages. Red Socks Go With Absolutely Anything is based around our family tradition of wearing red socks as an unspoken method of support and encouragement for friends, family or anyone that may just need a lift in spirit. The story sees the character going through a number of “firsts” and intimidating moments and shows the reader that sometimes words are just not needed to show that someone is thinking of you or cheering you on. The main character’s gender is ambiguous on purpose so as to allow the reader to develop a more personal connection to the story. I am most proud of the impact that the story has on its readers. I love hearing how someone is heading out to purchase a pair of red socks for themselves and/or their family members. I am especially thrilled when a reader tells me that they are looking forward to initiating their own unspoken method of support and tradition based around the idea of red socks. I am not sure if I would say it was difficult to publish my first book. Challenging? Yes, definitely challenging. 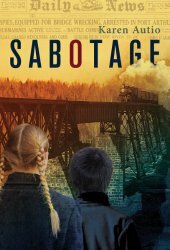 I chose the self-published route and being new to the book industry I found myself constantly on the computer or my phone doing research. I cannot tell you how many links I emailed myself to read and check on and how many tabs were open on my desktop at once on a regular basis. I was extremely fortunate to have a few connections that I could contact, bounce questions off of and verify information that I had found through research. The entire process can be a rather lengthy one when opting the self-published route as there are many services, options and research that should be done to ensure that you end up with an end product suitable to your standards. To aspiring authors/illustrators I would suggest that they do their research regarding the publishing process and what it takes to ensure that you end up with a polished and very professional book. I would also explain how it is a never-ending process of promotion and self-promotion. For a new author it is a constant challenge to get your name out there in the literary world. I have such great memories and experiences of sharing Red Socks with children. They are such a wonderful and inspiring group to share the story with! – I had a couple of girls approach me and tell me about a book they are writing together and how they were inspired to keep their project going and not give up. – Another child was so inspired by the story that he suggested that they have a wall in the school dedicated to Red Socks displaying the book’s lines “I feel strong. I am ready. I can do anything.” I am so proud of him as he later inspired so many others at a local track competition with his determination to run and finish in a relay match. I always have fond memories of visiting and reading with the younger grades. I experienced my first “heckler” when I was reading to a grade 2 class and she was in the front row asking me why the socks were not blue. I love the little discussions (that sometimes turn into battles) when I ask the class if they think the protagonist is a boy or a girl. I enjoy the fact that we get off course during the reading as our discussions take a different direction at times when they all want to share their version of the character’s experience. 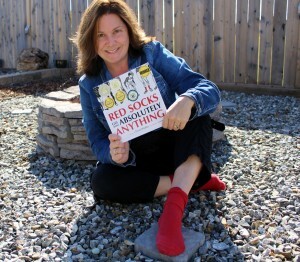 I use social media (Facebook, Twitter, Instagram and a website) in an effort to stay connected with readers and those who might be interested in learning more about Red Socks. I have done a few book signings and look forward to doing more. (The book signings are something that I need to push myself to do as I am usually very much a “behind-the-scenes” type of person.) I do thoroughly enjoy visiting classrooms and look forward to those in the coming school year. I am a first time author so it is so very thrilling to see the book displayed in a bookstore or to hear from someone else that they spotted Red Socks in a bookstore. My greatest pleasure is having someone tell me that they enjoyed the story and are looking forward to initiating their own tradition based on the idea of Red Socks. I have it set up so that when books are purchased an additional copy is printed and then donated to a local school, charity and/or organization that can benefit from the message within the story. I am so happy to say that books have been sent to Australia, Maui, England, Northern Ireland, Toronto, various States, Saskatchewan, BC and throughout Alberta so far. Being a first time author and one that is self-published, the biggest challenge is actually getting the word out about the story. 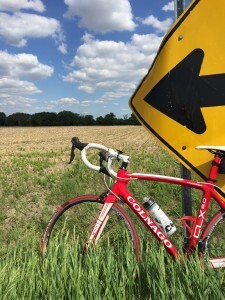 The entire experience is new to me and full of challenges and unknowns and I find myself constantly having to do research regarding the industry and push myself out of my comfort level at times in an effort to bring Red Socks to new readers. I am thankful though as this challenge offers me an opportunity to be an example to my two boys of how one should never give up and always be willing to put themselves out there. Rebecca Lynn Morales grew up in Northern California. She graduated college with a degree in theatre arts from California State University, Northridge. She now pens the theatrics in her mind to paper. Rebecca recently moved to Texas. She loves living there with her supportive husband, Gabriel, and spunky Jack Russell terrier, Carson. She gives glory to God for all that is good in her life. 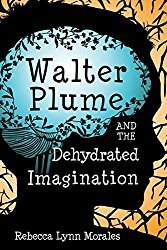 Walter Plume and the Dehydrated Imagination is a fun adventure through a dried-out, rule-bound land. 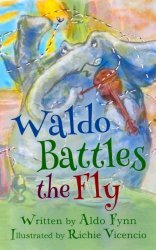 The lead character, Walter Plume, is the wittiest, most imaginative, and just plain real kid you will ever meet. He is an eleven year old foodie, with taste buds that like both cranberry-glazed salmon and a plain ol’ corn dog. I know kids (and probably a lot of adults, too) will relate to Walter and his desire to use his imagination. (Middle grade novel, 7-12 years) Over the years, I have battled people and situations determined to dehydrate my imagination. But, I’m fully re-hydrated now! I am most proud of the creative imagery and world building. It takes a big imagination to bring other people’s imaginations back to life. Walter Plume was newly released last February and is available in paperback and as an eBook. Miraculously, my first novel was accepted by the first publisher I sent it to. It was meant to be. However, I took the time to read about numerous publishers and what they were looking for, in order to make the best match. Not everything comes so easily, of course. I encourage any aspiring author to persevere no matter what and continue to grow as a writer. I knew I wanted to be a writer from childhood. My dad gave me a thick (in size and language) classic novels to read. I plowed my way through those books page by page, not fully understanding all the words. However, the characters in those novels and the drama of their lives led me to attempt my first novel in the seventh grade. I only wrote three pages. But that was the start of an idea for my life that has never left me. I knew I would be a writer after I was married because I finally had the support and encouragement I needed. My husband has a good editorial eye. He is the first person to read my work and give me feedback. And I chat his ear off every time I have a new idea or element for a story. He also helps me with the technical side of things: my website, marketing materials. He is my greatest support! I need to write in a quiet place, which is usually my office. Sometimes I sit at my desk, but mostly I write sitting in my favorite blue chair. It’s comfortable without being too cozy. I used to write sitting up in bed, but no matter how wonderfully my tale was unfolding I would eventually slide down in the bed, my head resting on the soft pillow and doze off. My brilliant writing tip: Write sitting up. I’ve also found that a cup of coffee or tea is inspiring somehow. They sit on the desk next to me for quick sipping access. The writing process itself varies. I have tried and tried to make a complete chapter-by-chapter outline before I begin a book and follow it closely with only a few detours. This doesn’t work for me. The things I know before I begin writing are: 1) How the book will end 2) My characters 3) I’ve created about ¾ of my world. The rest unfolds from there. I outline a few chapters at a time and then write them out. I get super excited about the ideas I come up with while typing. I also set daily word count goals to keep me motivated. (Usually, one thousand words per today). I enjoy staying connected with readers. I did a Barnes and Noble book tour last spring, where I did author signings at six stores. I love being able to answer young readers’ questions and encouraging kids to read and write themselves. When kids have the courage to come up and talk to me, I’m so proud of them because I was so shy as a child and I know how difficult it can be. I am active on social media and have two websites. You are welcome to contact me there if you have any questions. I also make weekly encouraging vlogs that I post on Facebook. If I wasn’t an author I think I would be a counselor of some kind. I’m a developer at heart and I see great potential in people. Whatever I can do to help someone realize and live out their potential is a joy to me. I speak at schools and libraries. With encouragement and fun games, I teach kids about various techniques I use to develop characters and write stories. My overall message is that we are all truly unique people with dreams, and those dreams will become reality if we remain true to ourselves. Neil Roy McFarlane is from the UK. He lived in Asia for over ten years and speaks passable Chinese. He writes in his spare time. 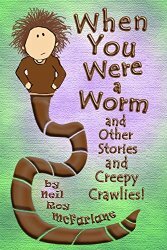 When You Were a Worm is a collection of short stories written in the second person (as is my previous book A Month of Bedtime Stories). 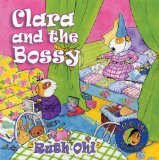 Both books are aimed at parents who enjoy reading to/with their children. In each story of When You Were a Worm, ‘you’ (i.e. the listening child) change into an animal and embark on a rather silly and fantastical adventure. For example, in one story you change into a flea and become the star performer in Professor Heckler’s World Famous Flea Circus; in another you change into a caterpillar and go back in time to teach prehistoric caterpillars how to change into butterflies. As to what I’m most proud of, the question tempts me to be serious and claim it’s educational – the kids are going to learn some zoology and get an insight into the lives of these creatures. It’s true that was something I kept in mind when I wrote the stories, but I have to admit that was secondary. What I really wanted to do was entertain and delight. I graduated through three authors as my childhood progressed: Enid Blyton (The Faraway Tree series), Tolkien (Lord of the Rings), and Ray Bradbury (The Illustrated Man). The Faraway Tree series and The Illustrated Man (and the Narnia series which I also loved) all involve traveling through a magic portal into other worlds. Lord of the Rings just was another world, no portal required. The common thread – of fantasy and escapism – is obvious, but I’m not sure why I was so desperate to escape. Maybe my childhood was worse than I remember it, but I think I just enjoyed such wild flights of imagination. Hmmm. Well, I don’t consider myself as having been published. I have signed a deal with a ‘proper’ publisher, but the book (a language learning textbook) isn’t finished yet. So far, with these storybooks, I’m ‘only’ self-published and have sold very few copies to boot. At which point some people might wonder: “Why are they interviewing this nobody?” Well, maybe I’ll end up becoming the new Dickens, but if on the other (more likely) hand I remain rather obscure and unknown, it still wouldn’t be a great tragedy for me personally, because writing is something I love to do. Fame or obscurity, I just really enjoy the experience of writing and being creative. So in terms of offering encouragement to other aspiring writers, I’d just say: do it if you love it. I realized I wanted to be a writer when I was about 8 years old. I just fell in love with reading and thereby living in other worlds. It was a way to have a(n admittedly one-sided) conversation with the greatest minds both living and dead. I admired writers more than anyone. I quickly realized that when I was watching a movie, the actor was just mouthing the words, and the director was just directing the story, that the writer had written. The writer was the great puppeteer who pulled the strings. It’s kind of like being God. An engineer can make a vacuum cleaner; a builder can make a house; but as a writer, you can make a whole world. Wow wow wow! With A Month of Bedtime Stories, I would usually wake at 5am on weekdays to write for a couple of hours before going to work. Then I would write some more on the train to and from work, usually on scraps of paper, sometimes even on train tickets and till receipts if I’d run out of paper. Then at weekends I’d go out walking on the coast path and have more ideas and stop to jot them down on more scraps of paper. Everything would then be typed out at night. Writing this way, it took me two months to complete at the rate of about one story every two days or so. If you were to look at all those bits of paper, it would be pretty indecipherable owing to my terrible handwriting, edits, deletions, insertions, and a multitude of geometric symbols which would be meaningless to anyone but me. 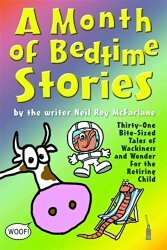 I thought the title A Month of Bedtime Stories was catchy, but really thirty-one stories was a bit ambitious. The hardest part was clawing my way across the finish line without losing focus or feeling my standards were slipping. Chop like a chop chop, crow like a crow! And in another story an old lady called Mrs Teasel has a finger which sings a magic song, but I can’t reveal the lyrics because it would be a total plot spoiler. The latest book published is Let’s Visit Maui!. The book series is perfectly suited for ages 5-10. I am most proud of the fact the series has been very well received by parents, librarians, teachers, but most of all, children! It was extremely difficult to get the first book in the series published. As a matter of fact, I had one publisher tell me the books were “too educational” for US children. Once I heard that comment, I was even more determined! I found a small publisher in South Florida and the first book was published. After attending Book Expo America, I realized I could publish the books on my own. I created my own company, hired a staff, and 14 books later, we are very pleased with our success. As far as words of encouragement…Don’t give up! If you truly believe in our product, the right opportunity will come along. It just takes time and persistence. I think the greatest joy is seeing how much children enjoy reading and learning about the world. 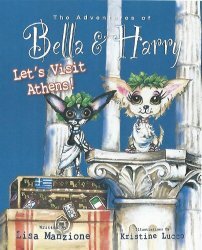 I am just thrilled every time I speak to a youngster and they can tell me what Bella & Harry have taught them. I really love it when the child tells me they know even MORE about the cities/countries than Bella and Harry because they have done research on their own or with their classroom. I believe the biggest challenge is keeping a child’s interest in a story. 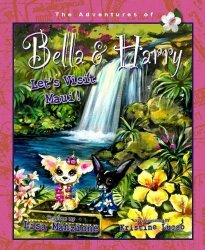 In the Bella and Harry series, the stories are educational. I think it is necessary to keep the story fun (which holds their attention), but to also have a significant amount of educational content which can be a huge challenge because I don’t want the book to feel like a history book. Yes, the books have been published electronically through Reading Rainbow Kidz. There is an option with RRKidz…the book can be read aloud to you or you can turn that option off and read the book yourself. The process with RR Kidz was a lot of fun! We have received tremendous feedback from readers, especially early readers who enjoy the narration option initially. We plan to have additional e-books available in the fall, 2014. If I could dine with anyone it would be James Patterson. I love his “women’s murder club”series! Additionally, James Patterson lives in South FL and is very active in children’s literacy programs, which I just LOVE! I love to do library and school presentations! Generally, I read one book during the presentation, followed by a question and answer session. Those that answer the questions correctly are given a prize…sometimes another book, a Bella plush stuffed animal, back pack, etc. At the end of the presentation I give each child a book from the series that we did not read. Depending on the age of the children, sometimes I autograph the books individually as well. As far as limitations, if I have advanced notice, there really are no limitations. If advance notice is limited, I can always Skype. In this instance, I would send the book ahead, so we can still do most of the above. 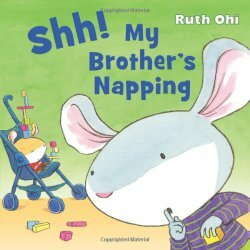 Ruth Ohi is the illustrator of over 50 children’s picture books (17 of which she is also the author). She lives in Toronto, Canada and is a graduate of the Ontario College of Art and Design. Her books have been selected for the Pennsylvania Centre for the Book’s “Bakers’ Dozen”, the Canadian Toy Testing Council’s “Great Books”, the Ontario Library Association’s “Best Bets” and the Toronto Public Library’s “First & Best”. They have been shortlisted for awards such as the Marilyn Baillie Picture Book, Amelia Francis Howard-Gibbons, Shining Willow, Blue Spruce and Rainforest of Reading awards. Tell us about your latest published children’s book. Who do you think should read it? My hope would be that “Fox and Squirrel Make a Friend”(Fall 2014/Scholastic Canada) could be enjoyed by anyone who is a friend, would like a friend or wishes to be a friend. 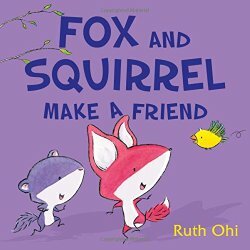 Fox and Squirrel’s first story, Fox and Squirrel (Scholastic Canada, Fall 2013) showed that despite their differences, the two could find enough in common to be friends. Their second story came from looking out my studio window and admiring how squirrels could hang out in the highest, teeniest tree branches and thinking, “Hm, Fox couldn’t go there.” And I wondered what if Squirrel met someone else way up high and forgot all about Fox for awhile and how that would make Fox feel. For chapter books it was Lois Darling of the Beverley Cleary original releases. She drew Ramona and Beezus in a way that was so satisfying for me. I very much empathized with Ramona about apples and marshmallows. For picture books, there are too many to list. I think the combination of artists like Leo Lionni, Maurice Sendak, Ezra Jack Keats, Dr. Suess and Robert McCloskey resonated with me because their words and pictures made me want to linger on the pages. They made me care about their characters. Making stories with pictures has always been incredibly satisfying and I’ve always loved picture books, but it wasn’t until university that I seriously considered art as a career. It just took a little while for me to realize it could be an actual full time job! My family was amazingly supportive and that was huge for me. It still is. 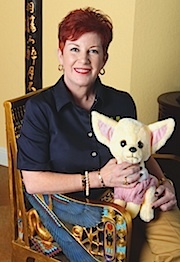 My sister, Deb (who writes and illustrates under the name of Debbie Ridpath-Ohi) is my guru for all things internet. Fox and Squirrel Make a Friend is dedicated to my first Great Nephew, Ian who is truly a bundle of joy. I do have a website where I post preliminary work sketches, my portfolio, and news that made me happy. It’s also where you can find a listing of my upcoming public events, info about booking visits, activity sheets and everything you will ever need to know about my books. Hm, except where to buy them, what their ISBNs are…okay, my website needs work! I’ve also just joined Instagram where I’ll be posting personal illustration and story projects. Oh, and I’ve made two booktrailers for “Fox and Squirrel Make a Friend”! The first is only 21 seconds and is the result of my experimenting with stop motion photography. The Second is 56 seconds and includes a snippet of a live drawing demo. I’m the one filming the live demo—it’s truly tricky drawing and taping at the same time! Both trailers can be found on my website and YouTube. Just doing the work—writing, revising, scribbling, painting. Finding the perfect balance between the words and the drawings. But I honestly don’t think a picture book really comes into being until a reader finds it. Seeing or hearing about someone who enjoys the book—that’s an incredible source of pleasure for me. If you weren’t an author / illustrator, what sort of work do you envision yourself doing? Have you had other careers or do you have another career now? In the summers, as a teen, I’ve worked as a florist, a daycamp counselor, a city special events co-ordinator. As an adult I’ve been fortunate enough to illustrate and write full time. If I wasn’t an author/illustrator, I’d very much love to work with young people in the creative arts. I have enjoyed presenting to many schools, libraries, conferences and family festivals across Canada. It’s definitely one of my favourite aspects of this job—sharing words and pictures with adults and kids. And my presentations are easily adapted to suit any age group. Presentations typically include a digital slideshow demonstrating where I get my ideas from. I show character sketches, storyboards and how I draw to brainstorm new ideas. Also included are Q&A, some original artwork and an interactive drawing demonstration. The last 10-15 minutes may be a hands on workshop where participants are very keen to try a brainstorming activity that I tailor especially for that audience. I enjoy speaking one on one to as many as possible about their work during this time. Typically a school or library visit is 45-60 minutes. A maximum audience size of 120 works well for JK/SK through Grade 8. Numbers may increase for older audiences. 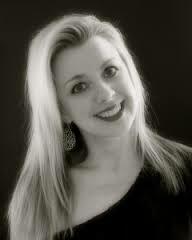 Laura is married to her high school sweetheart, has three wonderful children, and an adorable English bulldog. 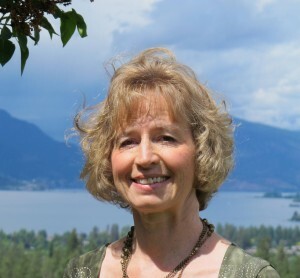 Born and raised in England and Wales, she immigrated to Canada in her mid-twenties, and now lives in Kelowna, British Columbia, where her authoring dreams have become a reality. After completing thirteen years of homeschooling her children, she is now able to focus on writing, and treasures the privilege of sharing her heart in the form of her published Christian teen fiction novels Tears to Dancing (2012) and Tears of a Princess (2013), numerous short stories and articles published in children’s magazines and online, her recently published marriage book Pearls for the Bride, and on her blog. 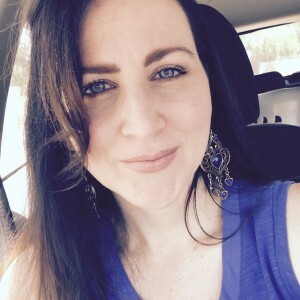 Laura’s strongest desire is to provide wholesome reading for children, challenging books for teens, and encouragement as well as entertainment for her adult readers. My latest published children’s book is a Christian teen fiction novel, Tears of a Princess. It was published last year as the sequel to Tears to Dancing, and I’m currently finishing the third book in the series, Tears, Fears and Fame. As you might guess from the titles, these books are rather emotionally charged! They are written for female readers aged eleven-plus, and press into some topical issues for teen girls, always offering hope amidst challenges and tragedies. I have thoroughly enjoyed creating believable, vulnerable characters, and have been incredibly encouraged by readers requesting sequels— that’s the best complement! As a child, I was a total bookworm, and my favorite book was Little Women by Louisa May Alcott. She brought the characters of all four sisters to life, and I particularly resonated with this, as I am one of four girls! Even though I had no grand illusions of being an author back then, and I was more of a reader than a writer, there was something incredibly inspirational about the sister Jo. In the story when Jo’s book was finally published, Alcott showed all her readers (especially girls!) that we should never underestimate ourselves, and that we can accomplish even our widest dreams. I am proof of that, as being an author was my pie-in-the-sky, all-out crazy dream! I have never met an author who found it easy getting their first book published. I started out writing short stories for children’s magazines, and the rejection was unbearable at first. In time, I learnt to develop a slightly thicker skin, and practiced the art of sending a story off and forgetting about it, rather than constantly fretting over it. 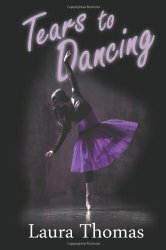 My first novel took several attempts until it found my current publisher, Dancing With Bear Publishing. I can’t begin to explain how excited I was to receive an acceptance email— I had to re-read it several times, as I was so used to reading the rejections, and I’m pretty sure I stopped breathing for way too long! I still have numerous manuscripts out with potential publishers— picture books, middle grade, even Christian romantic suspense. Originally, I desperately wanted to be a Beatrix Potter clone and write purely adorable picture books, but here I am with teen fiction novels published. I would encourage aspiring writers to avoid boxing themselves into a specific genre— spread the net wide, don’t give up hope, and just keep writing. To be honest, I was not that child who wrote essays for fun and penned wannabe books at the age of seven. I adored reading, and somewhere deep inside I dreamed of writing a children’s picture book one day, but I buried that secret desire for many years. It wasn’t until 2006 when I was having a coffee date with my husband, that I exposed my secret dream. He urged me to start the ball rolling right away (even though I was homeschooling my kids and volunteering and had zero spare time), so I enrolled with the Institute of Children’s Literature to take a correspondence course. I knew right away I had found my sweet spot, and haven’t looked back since. My husband has been my encourager, supporter, and number one fan every step of the way, and thanks to him I have been able to pursue my passion. What a guy! If you watched me working on a book, you would probably be amazed at how bad my typing is! I am painfully slow for a “real writer”, but I always say it’s the speed my brain churns out the words, so it works perfectly for me! I like to work at my desk in my study, which is the only room where I can enjoy some hot pink accents (I live with all boys!) I start a novel with a chapter outline before diving into the actual writing, and I enjoy having some visual inspiration on Pinterest. Once I have written the whole story, I go back and revise and edit and add chunks and get rid of the stuff that doesn’t make sense— a somewhat painful yet rewarding process. Lastly, I send it off and wait to see if anyone else thinks it’s wonderful and worth publishing. Being an author is rather surreal. Weird hours, poor income, wild imagination. But that moment you see your name on a shiny book cover containing words you wrote— it’s absolutely priceless. All writing is a joy to me. I love writing for little children, curious middle graders, searching teens, and for adults like myself journeying through life. I love that I can share my faith in written form, to weave it into novels or mold it into good morals in a young child’s short story, or encourage readers in my blog. A writer’s life is an unpredictable, exciting, sometimes tumultuous privilege, and I intend to live it to the fullest for as long as I am able. I gave a school presentation with Raise A Reader, where I presented my first book Tears to Dancing, described my writing journey, and held a Q & A session with grade 5’s. I have also held book-signing events in various locations in the Okanagan Valley, B.C. but would be willing to go further afield. 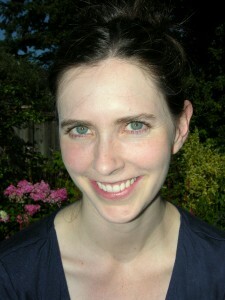 Catherine Egan grew up in Vancouver, Canada. She thinks it is a glorious city and there is no good reason ever to leave but, she left anyway. Since then she has lived on a wee volcanic Japanese island (which erupted during her time there and sent her hurtling straight into the arms of her now-husband), Tokyo, Kyoto, Beijing, an oil rig in the middle of the Bohai Bay (she still misses her little bedroom there), New Jersey, and now Connecticut, where she writes books and hangs out with her kids. 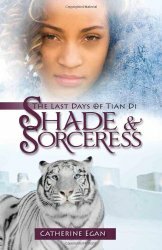 Shade and Sorceress won a 2013 Moonbeam Children’s Book Award (Gold) in the Pre-Teen Fiction – Fantasy. 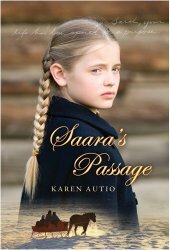 It was also named an Ontario Library Association Best Bet for 2012 in the Young Adult Fiction category. 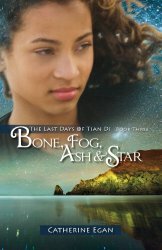 Bone, Fog, Ash & Star is the third and final book in The Last Days of Tian Di series. It will be published by Coteau Books on September 1, 2014. The trilogy follows my hero Eliza from the age of twelve in the first book, when she is kidnapped by magical beings who want to train her to be a Sorceress, to the age of sixteen, when she sets out on an impossible quest to gather four ancient objects in the hope of saving her loved ones and changing the world. As for who should read it: certainly anyone who has read the first two books – you want to know how it all ends, don’t you? 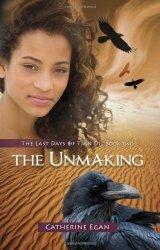 It is a fast-paced adventure that should appeal to fantasy-readers from the age of around ten and up. I am most proud of my villain, the mostly-evil-but-sometimes-not Sorceress Nia – and perhaps more generally the ambiguity surrounding the ideas of villain and hero in the story. There are too many favourites and resonances to name here, but I think the first time I was really aware of an author’s writing and how the style, the descriptions, the insights and turns-of-phrase could draw me in as much as the plot was when I read Louise Fitzhugh’s The Long Secret. I was eleven, and it changed my idea of how I wanted to write, or what it might mean to write a book. I wouldn’t have used the word genius then, but I think I was experiencing a brush with it, and it gave me shivers. It was also a very unsettling, uncomfortable read for me, because I recognized so much of my own childhood anger and self-absorption in Beth Ellen and Harriet. Once I knew that books were written by human beings, that was the sort of human I wanted to be. I wrote my first novel when I was six years old. It was about a bunch of kids who lived on a farm (I had never been to a farm) and ran races. The heroine was called Cathy, and every chapter ended thusly: “Cathy won the race again!” I showed my book to my grandmother, who had been married to a writer. She read it very seriously, and told me it was a good first draft. The writing itself is a tremendous joy. I have occasionally felt a bit insecure about how much I enjoy it, having come across so many quotations by famous, brilliant writers describing writing as torturous. I wondered if my enjoyment of it might be an indication of my mediocrity, but now that I am a little older, I don’t care. It is frustrating when a story isn’t clicking, or when I feel that I am writing badly or stupidly, but all the same, there is nothing I like better than thinking of stories and writing them down. I have no talent at all for anything else, and no real desire to do anything else, but I have of course had a number of jobs. I taught ESL for many years. I don’t think I was a very good teacher, but I really enjoyed meeting so many interesting people from all walks of life, and it was a great way to support myself while living abroad. The job I think of the most fondly, however, was my stint as a waitress in a sushi restaurant. Waitressing goes very well with writing. You sit at a desk alone and write during the day, and then in the evening you are up on your feet, rushing around and talking with people. It gives you the human interaction that I think writers really need so that they don’t go crazy. I miss the people, and I miss the sushi. Nancy Mitford. Or maybe Oscar Wilde. Imagine dinner with Oscar Wilde! That’s probably a very unoriginal answer, but both of them had a reputation for social brilliance as well as literary genius, and if I’m going to have dinner with someone, I want to laugh a lot. I am open to doing school or library presentations but I live in New Haven, CT with small children and so my availability is limited. Karen Scheuer is a wife, mother, and teacher. She lives in Newtown, Pennsylvania, and has been married to her high-school sweetheart for 29 years. The author and her husband have a 23-year-old daughter and a 20-year-old son. She enjoys calligraphy, knitting, making jewelry, traveling, reading, and never turns down an offer to dine out. She currently teaches second grade in the Council Rock School District in Bucks County, Pennsylvania. Karen knew she wanted to be a teacher since she was four years old. When she was in high school, she wrote her first children’s book. She hopes to publish that book someday too. She has been teaching elementary-aged children for 25 years. When Tyler is teased by the other boys, his good friend, Danae, encourages him to give the boys A Bug and a Wish. When Tyler finds a ladybug and a dandelion seed, he is convinced that this is what Danae means. As his friend helps him learn the true meaning of her advice, Tyler soon discovers the solution to his problem. 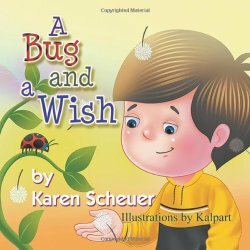 This book teaches kids to use the “bug and a wish concept.” This subject is dear to my heart because bullying affects how children view themselves. When they view themselves poorly, it can then affect their schoolwork and home life. 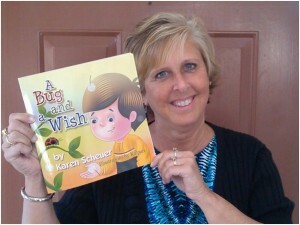 I hope my book, A Bug and a Wish, will help children stand up for themselves, and encourage bystanders to get involved. 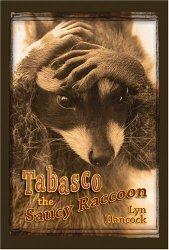 It’s a great read aloud for teachers to get their students to discuss this subject. It’s also a good book to read at the beginning of the school year. I actually wrote my first children’s book in high school when I was in a “future educator” class. I am hoping to publish that book next. My husband, Bob, has encouraged me and supported me, and he is the one who suggested I should publish the book I wrote in high school, next. The students in my class knew I was in the process of publishing a book this school year. I would update them when I received the illustrations, or when the cover was ready, etc. When I finally brought the finished book into school, I started to read it to them. I showed them the dedication page, and asked what authors put on that page. (I was trying to present the book as a teaching lesson). The students were all wide-eyed, but one student just put his hands on his cheeks, and excitedly screamed, “Just read it already!” It was so cute. Since this is my first children’s book, I haven’t gone on book tours yet, but I definitely want to. I did my first ever Meet and Greet book signing at a Book shop in Peddler’s Village, Bucks County, PA, on June 14th, and I was very excited. I have a Facebook page dedicated to my book, and people have posted photos of kids reading the book, and one of my friends even posted a photo of tea towels she sewed for my book signing. Something unbelievable happened with my book. My son and daughter’s names are the names of the characters in the book. In the story, Tyler finds a ladybug, and puts it in his pocket because he thinks this is what Danae means by “A bug”. The day AFTER my son, Tyler, read the book, a ladybug landed on his hand! This has never happened to him in his life. He quickly took a photo of it, and sent it to me. I actually thought it was a “God thing,” and I that it was so cool! I would LOVE to do school library presentations, but I am currently a classroom teacher, so I cannot do that at this time. My goal is to retire from teaching in a couple years, have two published books, and then travel to schools to read my books to kids! I would definitely be interested in doing library presentations in the summer months. 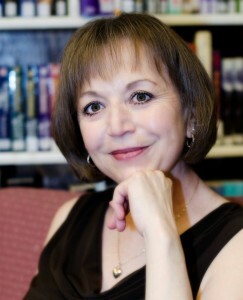 I live in Bucks County, PA.
Jacqueline Guest is an international award winning author with eighteen published novels. She has presented across Canada and in the United States to audiences of all ages including the University of Calgary; Manitoba Association of Teachers of English; Alberta Association of Library Technicians; MASC Conference Ottawa; University of Victoria; Cultural Diversity Institute North Central Teachers Association; Young Alberta Book Society; Wordsworth Writing Camp; Dreamcatcher Aboriginal Conferences; Saskatoon Reading Council Teachers Conference; Batoche Historical Site; the Edmonton Young Offenders Centre; Mamawenig; Back to Batoche Days; Fort Calgary’s Metis Cultural Festival, the American Indian Library Association, plus a host of other conferences and engagements. Jacqueline is the current Creator in Residence for the Canadian Society of Children’s Authors, Illustrators and Performers. She has been Writer in Residence for the Marigold Library System and is the proud recipient of the 2013 Indspire Award for the Arts. With her experience in writing, editing, promotion, touring and the business aspects of being a writer, Jacqueline feels sharing her expertise can help new authors achieve their goals faster and with better results. This novel will make you believe in ‘What if?’, the biggest question in the universe. What if cosmic links do exist? What if we are all connected? What if we can tap into those connections to protect our loved ones? This story is more than a coming of age novel, it shows us how we all cope with stress in different ways. Mark Twain was, is and always will be my favorite author. I have many other stars on my book shelves too numerous to mention, but Twain’s stories continue to entertain and resonate with me even after all these years. First books are always hard, but don’t give up! Learning to write at a professional level is just like learning how to perform an athletic event at an Olympic level – it takes years of practice and dedication to achieve your goal, but it is so worth it. We will always need new books to inspire and entertain, and new writers coming up now will provide those wonderful books. I have always wanted to be a writer, but was afraid to say it out loud when I was growing up in case I was ridiculed. After all, published authors don’t come from a small village like Turner Valley, Alberta, they come from New York, or Toronto, or Vancouver- big cities with fancy schools. Well, I’m here to tell you, authors do come from small towns everywhere and you don’t need an agent or fancy letters after your name. You just have to believe- and be willing to pay your dues. I call the room where I write a ‘Scriptorium’, (I even have a sign on the door!). People who have 9-5 jobs work in an ‘office’; a writer doesn’t have such nice tidy hours, which is why I like ‘scriptorium’ better. 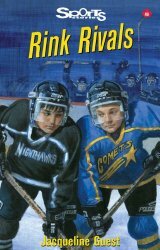 One of the coolest experiences I have had was working at a First Nation’s school when a young boy in Grade 5 came up to me and told me he read Rink Rivals, a hockey novel about twin boys who scrap on the ice and off. I said that was great, and he became excited, telling me he read all the pages, right to the end and he was going to read another book now and that it was the first book he had ever read in his entire life! That was the ultimate compliment. I love travelling to share my excitement about reading with students everywhere. To see a student’s excitement when they tell me about one of my books that they are reading and how the characters are so real, the adventure so exciting and the story so compelling, now, that’s worth the time, expense, long hours and effort. I wish I was better at social media and keeping my website up to date, but I’m not a tech type, and if anyone out there would like to work on my website for me, let me know!!! I have worked every job under the sun to support my writing habit: house cleaner, retail clerk, waitress, day care worker, core analyst in the oil industry and about a million more jobs I shudder to remember. I know how fortunate I am to have this dream job of being a writer. I would pay to dine with Mark Twain. Not only handsome, but the most talented writer ever! The Era of the Fur Trade explores Canada’s past with a session that includes over fifty artifacts such as beaver pelts, bone fishing hooks, horn sewing needles, plus we learn the uses of the Metis Sash, and the laws for the buffalo hunt. It is very interactive with students from the audience assisting me as we paddle down the river with our canoe laden with furs or demonstrating how old fashioned aboriginal toys worked. 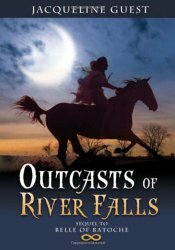 Belle of Batoche and Outcasts of River Falls are great companion reads for this session. Dinosaurs! This is geared for students in Kindergarten and grade one/two who dig dinosaurs. The PPT session includes fossils of bones, trees, dino poop and an actual dinosaur egg and comes complete with a coloring handout. Ghost Messages: A Voyage with the Author, a sixty minute PPT session, tandems with my novel Ghost Messages and deals with laying the transatlantic cable in 1865,an event which changed the world for all time because it changed the way we communicate. Those texters in the audience need to know how this communication explosion we live in today started. Students see an actual piece of the first transatlantic cable, plus students can win a prize by decoding and answering a secret Morse Code question. 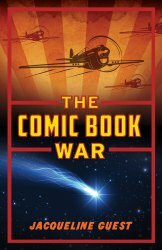 The Comic Book War: WW2, Meteorites and Comic Book Superheroes involves my new novel The Comic Book War. Students learn about the home front war effort including savings stamps, rationing, victory gardens and a host of other helpful facts. Plus, we explore the possibility that we are all connected on a cosmic level. Could a meteorite found by our hero connect comic book super heroes here in Canada with three soldiers fighting overseas? ‘What if?’ the most powerful question in the universe! 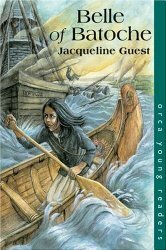 Jacqueline Guest’s books are published by Coteau Books, Orca Book Publishers and James Lorimer and Company. 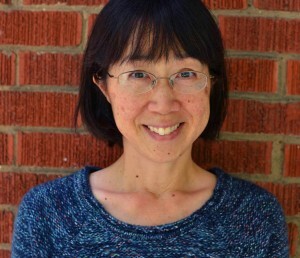 She also works with Scholastic, Pearson Canada and Rubicon for short stories and levelled reading. 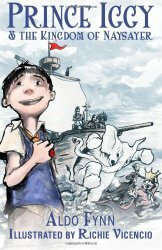 Prince Iggy and the Kingdom of Naysayer is an over the top-fantasy adventure where a lost-now-found prince learns that believing in himself pays off when battling evil bullies. It’s a quirky and fast paced story with 30+ black and white illustrations ideal for middle grade readers (ages 8+) and adults looking for a different kind of hero. Mark Twain. Because he’s one of literature’s greatest humorist. Staying focused and finishing the work. All my books have actually been published electronically first. Since I’ve partnered with a small-indie press, we decided that going digital first would enable the books to get to readers more quickly. BOA Press has internal resources to produce the digital format whereas as print production required working with third parties. The feedback I have received on the e-book format and illustrations has been very positive. Some of my readers still rely on print so we planned for that once digital was completed. There is something special about holding a book in your hands with your name on the cover. Again Mark Twain because his life was as colorful as his books. Music is a big part of my life. I listen to music everyday before and after I start a writing session. I listen to everything from classical to electronica to jazz. Elizabeth MacLeod is one nosy author, which is why she loves writing non-fiction. She’s very curious about why people do what they do, and she likes sharing with kids the amazing facts and secrets she uncovers. As a kid in Thornhill, Ontario, the idea of being a writer never crossed her mind — she figured most authors were already dead and they definitely weren’t Canadian. Besides, it was science that interested her. But writing was already part of her life. After dinner on school nights, she and her two brothers would trudge up to their rooms, close their doors and start to do their homework — or so their parents thought. A few minutes later, a piece of paper would come sliding under her door. One of her brothers had drawn a picture, usually of some weird creature. She really couldn’t draw (she still can’t! ), so the only way she could respond was to write a short story, often about a mad scientist or space alien. she’d slip the story under her brother’s door and — well, not a lot of homework got done. At university, she studied sciences — there was hardly any writing involved at all. After she graduated she had a number of jobs, but none of them had anything to do with writing. She wanted to be an author but she was too scared to admit it to anyone, especially herself. However, one day she gathered up her courage, phoned a newspaper and sold an article she’d written. Wow! Soon after this she attended a publishing workshop in Banff, Alberta, which led her to a job as an editor at OWL magazine. 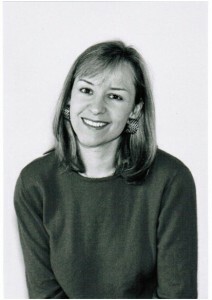 After a few years she switched to book publishing and became an editor at Kids Can Press. Meanwhile, in her spare time she began writing non-fiction books for kids. Then she became a part-time editor and writer. Now she’s a full-time writer, working for a number of different publishers. One of the things she especially likes about writing for kids is that she gets to investigate so many interesting topics. She’s written articles or books on subjects such as weird breeds of dogs, Marie Curie, hoaxes, the northern lights and many, many more. Did you know that some dinosaurs were as small as chickens? Or that Alexander Graham Bell, the inventor of the telephone, got tired of having his work interrupted by his invention? She’s written many biographies about such people as Helen Keller, Albert Einstein and Samuel de Champlain. One of her favourite things is discovering how inventors and writers come up with their ideas. 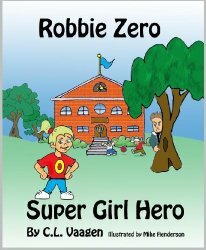 She’s written a series of biographies for readers ages 6 to 8, and one for kids aged 8 to 12. More recently she’s written about royalty, and the mysteries and crimes that surround them. Monarchy has always fascinated her. She loves going behind the scenes with monarchs from Cleopatra to Dracula to find out just what they would do to hold onto power or protect their families. These books have also let her research forensic techniques, ranging from DNA testing to crime-scene procedures. 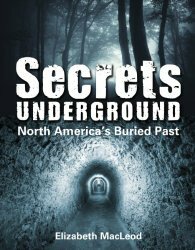 Secrets Underground: North America’s Buried Past is for readers age 10 and up. This is a great book for anyone who likes spine-tingling mysteries and eerie surprises! I think kids will be amazed to read about these buried secrets, including the top-secret equipment that lies deep below Grand Central Terminal in New York City and the network of abandoned tunnels below Moose Jaw, Saskatchewan. 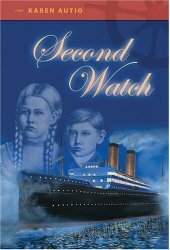 The book also tells about the ships that were abandoned in San Francisco harbor during the Gold Rush. I travelled to the city and found numerous plaques and displays about the forgotten, buried ships. Many people who lived in San Francisco knew nothing about the ships but I’m proud of the fact that I was able to track them down. I’ve had a different writing career from most other writers. 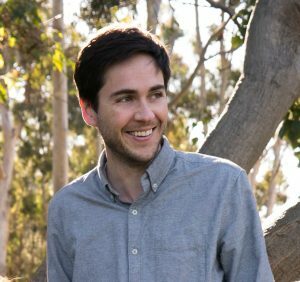 I started as an editor at OWL Magazine, so I was on the inside of the publishing world from the beginning. The first few books I published were books that publishers asked me to write. It can be really tough to get a publisher to accept a book proposal so I’d suggest aspiring authors prepare themselves as much as possible. Colleges and universities offer great writing courses, and so do organizations such as CANSCAIP and SCBWI. These are wonderful opportunities to meet other writers, have your proposal assessed by an expert and improve your writing. I think it’s important for all authors, aspiring and published, to remember to never give up. If you really believe in a book idea but a publisher turns it down, revise the proposal as necessary, then send it out to another publisher. From being on the inside of the publishing world, I know there are lots of reasons why one publisher will turn down a book idea that will work very well for another publisher. I work at a large desk with a keyboard and good-sized computer monitor. I’ve got piles of papers and books, as well as a ceramic vase full of pens, a pewter pot holding paper clips, a grapefruit-scented candle (I read somewhere it helps with creativity) and a few other bits and pieces. But you probably wouldn’t notice any of these things because you’d likely be focusing on our cat Cosimo. While I work, he’s usually stretched out under my desk lamp. Even on the hottest summer day, he seems to like the warmth! In my presentations, I ask a lot of questions, so you’d think I’d be used to receiving some amazing answers, but kids always surprise me. I was talking once about the biographies I’ve written and telling kids about magician Harry Houdini. One boy shot up his hand and offered to share a magic trick with the group. How could I say no? 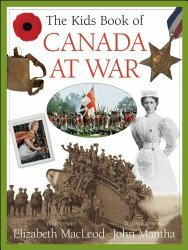 I also wrote The Kids Book of Canada at War, so I talk to students about John McCrae (author of the poem In Flanders Fields) and other brave Canadians who served in World War I and II (including my dad). I often get teary-eyed when I think of their courage and kids usually notice this. I wish I weren’t quite so emotional, but then the kids always want to share their stories about relatives who served in wartime. I guess I help them form a connection that makes them proud. I’ve taken part in a number of book tours, in British Columbia, Alberta, Manitoba, Ontario and throughout the Maritimes. I write about such interesting people and topics, so I love sharing the incredible facts I’ve uncovered. I visit classrooms, libraries and bookstores and have also done interviews on radio and television. I’d choose Lucy Maud Montgomery, author of the Anne of Green Gables books. I still re-read those books and I’ve written two biographies about her. Maud (as she liked to be called) had a tough life, so I’d ask her where she found her inspiration. I’d also like to know if she’s surprised that Anne is still so popular, what Maud thinks of all the books written about her and how she feels about Anne’s incredible fame in Japan. I’ve written a series of biographies for first readers as well as a series for 8 to 12 year olds . So I can bring some of the world’s most incredible people to life for kids of many different ages. Kids are drawn into the wonderful stories about these well-known personalities with the many photos and artifacts that I use to illustrate my talks. I ask questions, request opinions, involve students in activities, etc. 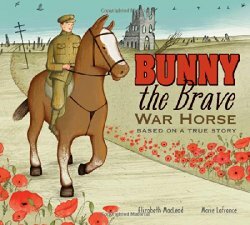 For students up to grade 2 or 3, I can also speak about my latest picture book, Bunny the Brave War Horse (Kids Can Press). This is a World War I story and is based on a real horse and rider. I can talk about the war as well as about horses; I also discuss World War II and show artifacts that belong to my father, who was a navigator with Bomber Command in the Royal Canadian Air Force. As well, for older students I can look at the mysteries of history and how we’ve used modern technology to solve many of them. Using images and artifacts from my books Secrets Underground, Bones Never Lie and Royal Murder, I look at historic events and show why they matter, how they affect us today and how we can learn more about them. I also explore the forensic techniques used to solve crimes and mysteries and encourage kids to consider how to use deductive reasoning and other investigative methods in their own lives. I’ve worked as an in-house editor, so as part of my presentation, I can also talk about the publishing process, from initial idea to final book. I discuss the team of people needed to produce a book, and again show artifacts to illustrate the various steps and to involve the audience. As well, I have given many presentations to adults. One of my most popular talks is about how to get your children’s book published, including writing the best query letters, avoiding first-timers’ mistakes, etc. Since I have worked as an in-house editor, I can provide the view point of both an insider and a freelancer. I’ve also given presentations to many teachers and librarians about why biographies are important (for instance, they’re fun, they make history come alive, they can boost self-esteem and more) and how to interest children in biographies. I can provide handouts to participants for both of these talks. I live in Toronto and I’m very willing to discuss travelling with anyone who would like me to speak in their classroom or library.